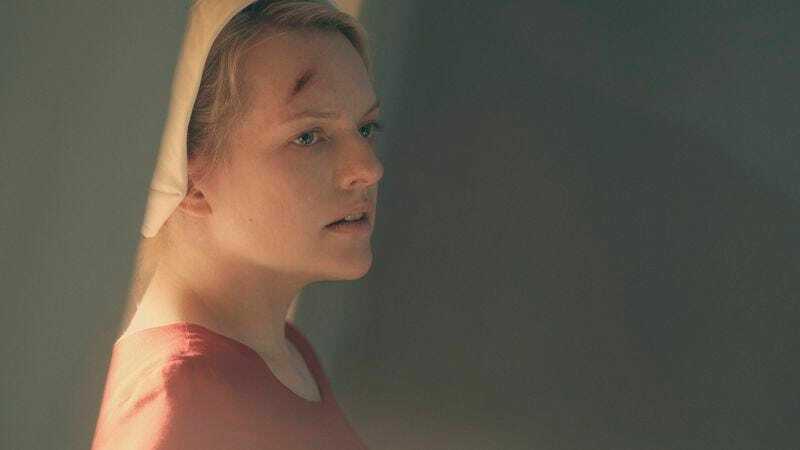 Hulu’s grim, affecting The Handmaid’s Tale was renewed for a third season this past May, but it now appears the dispiriting realm of Gilead will roll on off the screen as well. Margaret Atwood, who penned the award-winning tome upon which the series is based, announced on Wednesday morning that she’s got her own sequel in the works. Called The Testaments, it will be set 15 years after the end of the first novel and published in September of 2019. Set in a dystopian future where the U.S. has been refashioned as a totalitarian and theocratic country called Gilead, the story follows a band of women, dubbed “handmaids,” who are enslaved and exploited for their fertility. Atwood herself credits the 1985 novel’s modern success with the rise of the Trump presidency and what many deem to be an regressive, anti-women agenda, and the global trend of women donning the series’ signature garb to protests is evidence enough to show she’s not wrong. Atwood doesn’t mention whether or not the series itself will impact the events of her novel, but, for us viewers, it’s probably best to do what we’ve already learned to do with Game Of Thrones, which is view the books and the series as two separate tellings of the same story.